Atiku Abubakar Presidential Campaign Organisation has donated N10 million to the victims of last week’s pipeline explosion that led to loss of human lives and property at Umuaduru and Umuimo communities in Osisioma Ngwa Council of Abia State. The former vice president and former Governor Peter Obi of Anambra State will fly the Peoples Democratic Party (PDP) flag in the 2019 general elections.Obi, who announced the donation when he visited the scenes of the explosion, said that he did so on the directive of his principal.Obi sympathised with the victims, noting that the donation would add to what the state government provided to cushion their pains. He prayed for such incident not to happen again. In the same vein, Atiku has promised to involve more women and youths in government affairs, if elected. He said this yesterday via his twitter handle, @Atiku, while addressing poverty, adding that under President Muhammadu Buhari, Nigeria experienced extreme poverty. 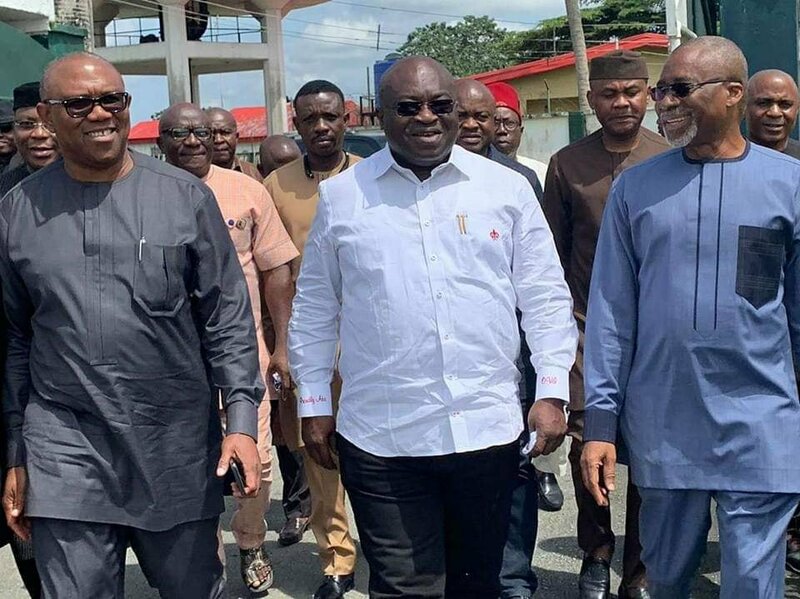 Meanwhile, the chairman of Akwa Ibom State Assembly Service Commission, Chief Andrew Uwanta, has joined millions of Nigerians to applaud the choice of Obi as the PDP vice presidential candidate.describing their ticket as a formidable team that would lead the country out of the woods. While fielding questions from journalists in his office in Uyo, he said that with Atiku and Obi as the country’s leaders in 2019, “Nigeria is on the path to recovery.”He added: “Atiku is a tested administrator and businessman, while Obi will make a good adviser. He is also very knowledgeable and his performance in Anambra (as governor) has shown that he is a good manager of resources.”The power of incumbency, he noted, no more guarantees victory in elections.